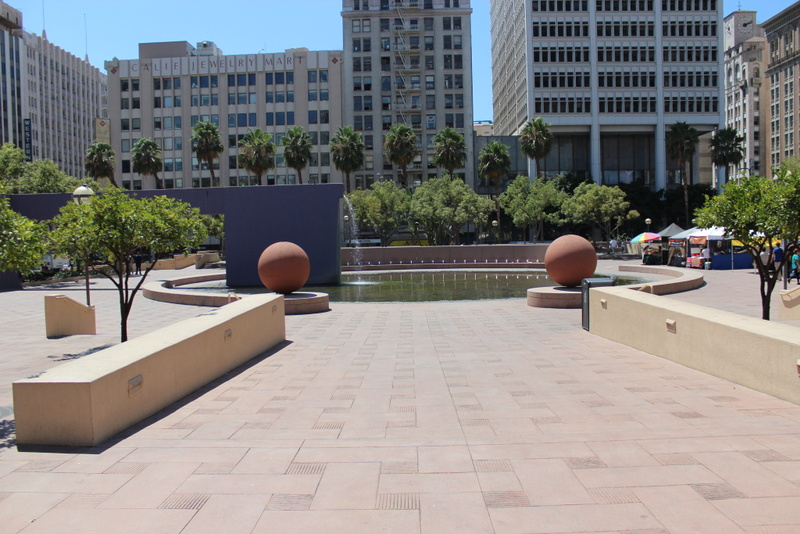 Councilman José Huizar is looking for a team of desgners to give Pershing Square a new look. Downtown Los Angeles has seen major changes the last few years. Councilman José Huizar says that he wants Pershing Square to catch up. On Tuesday, the L.A. City Council unanimously approved Huizar's bill calling for a private/public partnership to renew downtown's Pershing Square. On Wednesday, the councilman announced a design competition to find the artist that would bring the new look to life. "Anybody can participate," Huizar said. "It worked well for us on the 6th Street Bridge where we got back a number of great designs." Huizar called the current look of the square uninviting and said that he hopes the new design will help Pershing Square become a central square where Angelenos can gather, similar to public squares around the world, like Madrid, Spain's Plaza Mayor. "We're looking for a new design to take advantage of the centrally located public space and make it almost like a town square," Huizar said. "So that people gather, enjoy the middle of downtown, have some programming, perhaps enjoy a concert." This won't be the first time the square will get a touch up. One of Huizar's visions is for the square is to become a part of downtown L.A.'s growing new identity. "There is so much potential in this park and it has gone through several iterations over the years," Huizar said. "This is just one more of those in the history of this park to adapt to the new DTLA that we see." The latest plan has raised about $1.3 million from a private donor. Huizar said the initiative wouldn't be possible without a private partnership, adding that some of the funds for the project could come from the public. Those would finance the construction, not the design. Huizar said private funding would likely dwarf the amount of money coming from the public. The renovation is expected to be completed by 2020, according to a statement. The competition to find a design team will be a six-month process with 10 semi-finalists announced in November, four finalists announced in December and a the final winner named in late Feb. 2016, according to the statement. "Hopefully we'll have this town square feeling that you have designed in many cities throughout the world, where you have a town square where it is a gathering place for people in the area," Huizar said. "We want this Pershing Square to be the same thing."